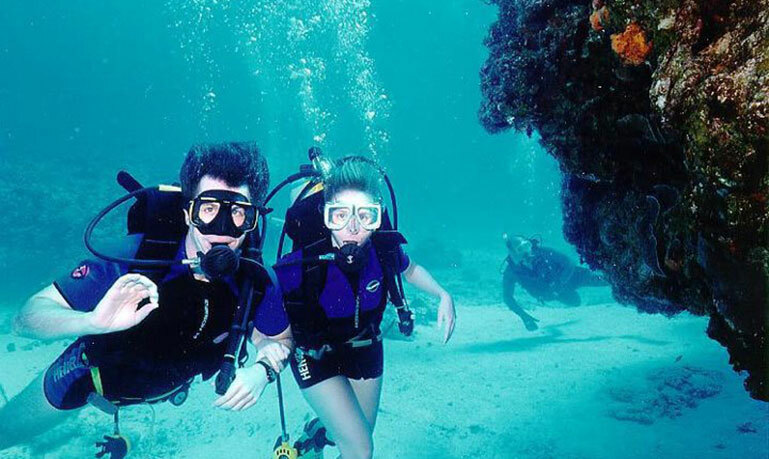 Cozumel is the largest island in Mexico, number one cruise destination in the world and it is a world-class tourist resor area that has it all: beaches, gastronomy, reefs, luxury hotels, golf courses, even archaeology, but most of all, Cozumel is a Diving Paradise. Most dive sites and the most popular are located on the southwest side of the island. Among the most recommended sites to practice diving, in all its variants, are: The Paradise reef, the Santa Rosa wall, all the Palancar reefs and those of the Colombia, Punta Sur, and Chun Chacab. Depending on the company that you hire to carry out this activity, the cost and the schedules vary. –Paradise. The reef is a quiet and you’re in relatively shallow waters, temperature ideal; excellent visibility, and the shoals are unequaled. Chankanaab. Although the Maya call it “little sea”, the natural aquarium of Chankanaab is a lagoon that is part of the national reserve of the same name. For the tranquility of its waters, the lagoon has become the most visited site on the island, because you can practice free diving, and other underwater sports safely. –Yucab. It is one of the longest reefs on the continent, with an extension of 1 500 meters long by 20 meters wide; here the diver can admire sponges, a wide variety of crustaceans, colorful fish and all kinds of coral. –San Francisco. Here the exotic yellow tube sponge abounds. With a bit of luck you will find moray eels, nurse sharks and large schools of fish. –Santa Rosa. This reef is famous for the appearance of the hawksbill turtles (Eretmochelys imbricata) its main attraction. The deceptive currents are not recommended for beginner divers. 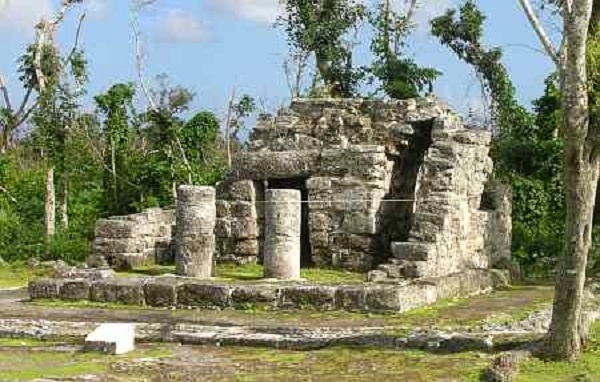 The archaeological site of San Gervasio was considered as a sanctuary of Ixchel, Maya goddess of fertility and love and is currently the only official archaeological site on the island. The Museum of the Island offers four exhibition halls, where a vision of the geography and history of Cozumel can be observed. Conceived as an instrument of information and education, the museum features exhibitions on the history of the island and the ecosystems that make it up, while giving visitors the opportunity to enjoy temporary and permanent exhibits of local and international artists. Working hours: Monday to Saturday from 9:00 a.m. to 4:00 p.m. If you do not like crowded beaches, visit the eastern side of the island where beaches such as Punta Morena, Punta Chiqueros, Playa Bonita and Chen Rio Beach are breath taking; or go south, where you will find a more relaxed atmosphere. There you can enjoy a cold beer, a good shrimp quesadilla and find a hammock to relax. If you want to explore the island corners, the ideal is to rent a quad bike, this way it will be easier to get to Playa Uvas, Playa Paraíso, Playa Mpia and Dzul Ha, where you can find restaurants, bars and go snorkeling at the reefs that are just a few meters from the beach. Another recommended option is to practice kayaking, or horseback riding on the beach. If you are visiting with children or people who can not swim you can also enjoy the beauty of the Cozumel’s coral reefs without getting wet. 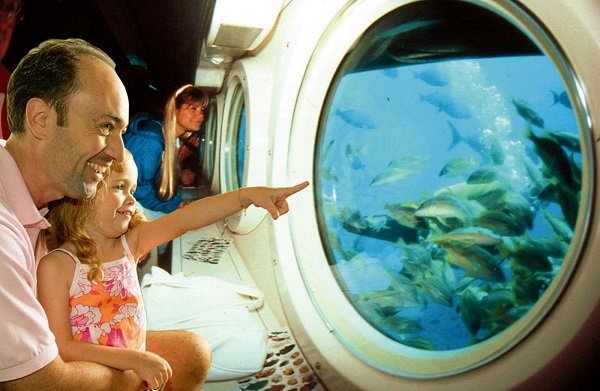 The Atlantis submarine will take you on an unforgetable trip to the protected marine park of Chankanaab. During the journey you will see huge corals and multicolored fish. The full tour lasts 2 hours of and passengers spend 45 min inmersed 34 meters (110 feet) deep under the sea. The cost of the ticket is of 84 dollars adults ($ 1,638 Mexican pesos at the exchange rate of 19.50 per dollar) and 40 dollars children ($ 760 Mexican pesos at the exchange rate of 19.50 per dollar). The hours are from Monday to Saturday at 1:00 p.m.
Just keep in mind that every year from September 13 to September 20, the submarine remains closed for a one-week maintenance. When it comes to food in Cozumel, there is nothing to worry about. There are different places and options that you can choose depending on your budget. However, the seafood is really worth trying at the island. Depending on the budget and taste, you can set aside the room that best suits you. From a room for just spending the night, a B&B, to an all-inclusive resort or a 5 star luxury hotel, Cozumel offers a wide variety of options when it comes to lodging. 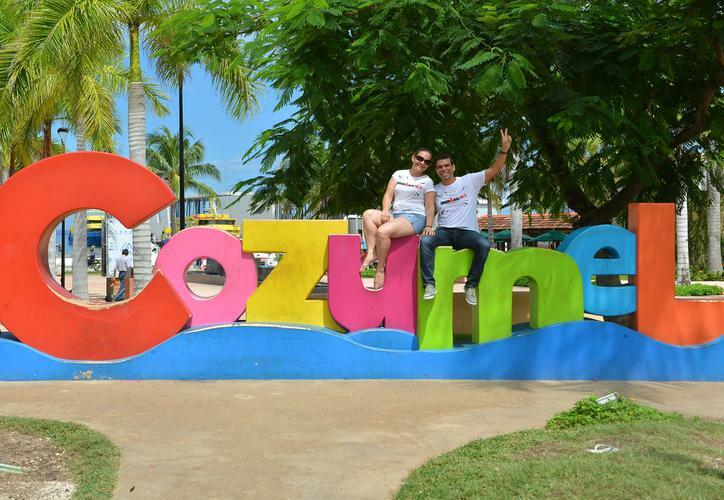 Cozumel boasts an international airport that was already in operation years before there was one in Cancun. There are direct flights coming in from Canada, the U.S, and different Mexican cities. But if you are in the Riviera Maya, you can get to the island via Ferry. The cost of this transport is $ 163 pesos single trip and $ 300 pesos round trip for adults; and $ 97 pesos for children (up to 12 years old) single trip and $ 194 pesos round trip. 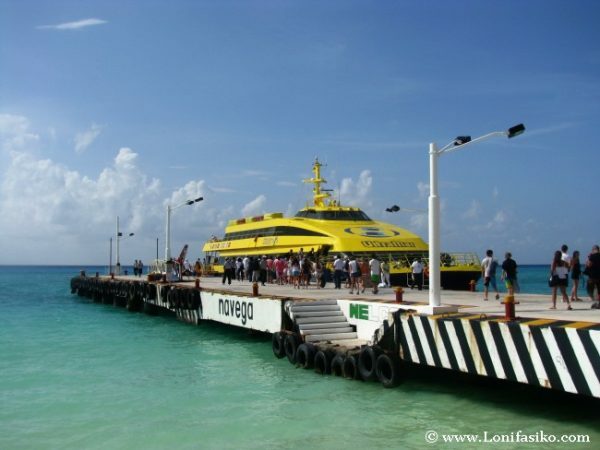 Tickets for the Ferry can be purchased right at the dock, however, some travel agencies and tour operators on Playa del Carmen’s Quinta Avenida offer day trip packages to Cozumel that include the ferry fee.